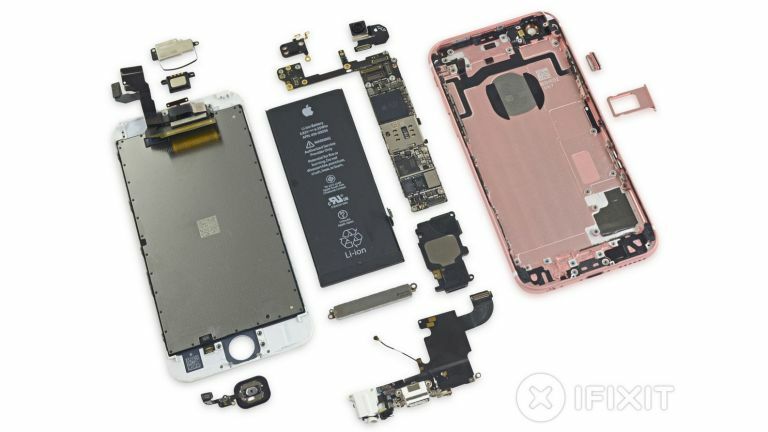 A teardown has proved Apple has shrunk down the battery on the iPhone 6S as well as sticking some more tech in it to make your phone a little heavier than it was last year. That said, it does seem to be for a good cause as it'll allow you to do the new 3D Touch feature. A new iPhone in September is almost as certain as the world turning, and it's just as certain that one of the first people to get one will tear it down to look at the insides. Apple doesn't usually share all the raw spec of its phones, so it's always interesting to rip one open and have a quick look inside. The most interesting thing this year is the iPhone 6S battery is smaller than the iPhone 6 with a 1715mAh pack compared to last year's 1810mAh battery. This teardown comes courtesy of iFixit that also found the phone is 15 grams heavier this year because of the new capacitive sensors installed in the phone to make 3D Touch work. The real nitty gritty processor facts were also discovered but there's not much of a surprise there. The processor itself is a little larger this year as there's an embedded M9 motion coprocessor within it. Plus the Touch ID cable is now paired with the logic board making repairs a little more complicated than they were on the iPhone 6.Now just to wait for someone to do the same to the iPhone 6S Plus.